Queen duvet cover (88" x 88") featuring the image "Eiffel Tower Pink And Black" by Mark J Dunn. Our soft microfiber duvet covers are hand sewn and include a hidden zipper for easy washing and assembly. Your selected image is printed on the top surface with a soft white surface underneath. All duvet covers are machine washable with cold water and a mild detergent. 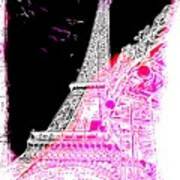 There are no comments for Eiffel Tower Pink And Black. Click here to post the first comment. It takes a true professional photographer to set up this shot. 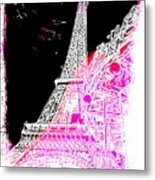 While there is a myriad of vantage points to photograph the most visited monument in the world, Mr. Dunn sets a shot of the Eiffel Tower built in 1889, as a juxtaposition of new and old. The contrast lies in that pairing. The signs seem to mimic the iconic structure. 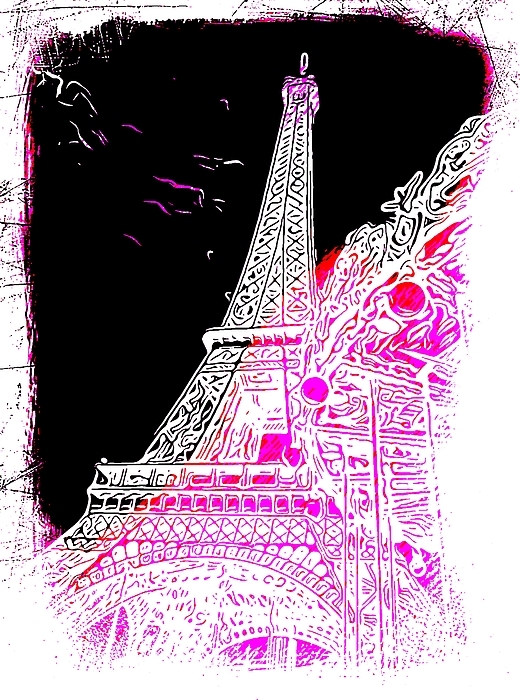 The Eiffel Tower was never meant to be a permanent structure. Rather built as an installation for the Paris Exposition it was meant to be torn down but fortunately was repurposed as a radio tower. On this bright and sunny day, the new and old come together in this magnificent photograph.